The Raiders will begin their Las Vegas residency with a bang as the city hosts the 85th NFL Draft. 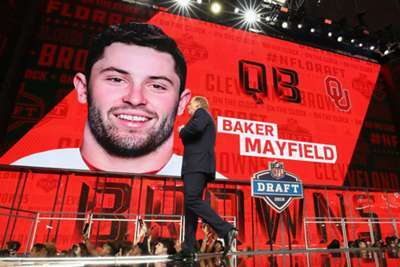 The NFL announced on Wednesday that the 2020 draft will take place on and around the iconic Las Vegas Strip, beating out Kansas City and Cleveland as potential host cities. Slated for April 23-25, 2020, the draft will precede the Raiders' first season in their new Las Vegas stadium after leaving Oakland. The team already boast two first-round picks that year. "The NFL Draft is one of the most anticipated events of the year and we are excited to take it to Las Vegas," NFL commissioner Roger Goodel said in a statement. "We look forward to working with the Raiders, Las Vegas officials and the Las Vegas Convention and Visitors Authority to create an unforgettable week-long celebration of football for our fans, the incoming prospects and partners." Raiders owner Mark Davis added: "The Raiders are very excited for Las Vegas and are proud to help host the 2020 NFL Draft. "Las Vegas is the entertainment capital of the world and will provide a tremendous experience for the NFL and its fans." The 2019 NFL Draft will be held on April 25-27 in Nashville.